When first confronted with a micro organism problem in a facility, it is hard to pinpoint an exact root cause from so many potential sources. At the time, it was necessary to take a holistic view of all conditions and to communicate these to the client: putting potential sources into perspective with the ability to zero in on program improvements while keeping it simple and understandable. Pathogens occur naturally in the environment and can easily infect and populate in food plants. 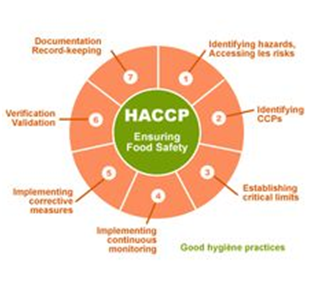 Our pathogen control software provides a holistic approach to preventive controls and its use will immensely help the food industry where it is being applied and will endure the test of time in the food industry segments where it has been applied. 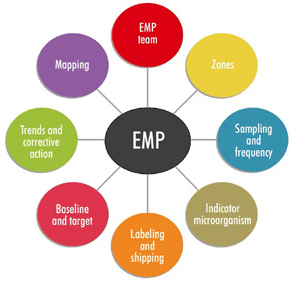 An interesting and significant learning opportunity from our LIMS, when fully implemented, is that in addition to controlling pathogens, it is good for quality and business. Experience shows that the shelf life of many micro sensitive products has significantly increased, indicating that this process controls not only pathogens but also spoilage organisms. This process leads to satisfied customers with higher-quality products and reduced spoilage: a win-win for the processors and consumers! The Q.M can add date column in test results and upload excel file and generate the report. Includes a slider on the timeline that automatically changes to icon and data. Any company can start registering, upload the result, use the icons and generate the reports and trending.